Two prominent features of upcoming OnePlus 6T have been confirmed by the company. First, it will have in-display fingerprint sensor and secondaly the T phone will have no headphone jack. 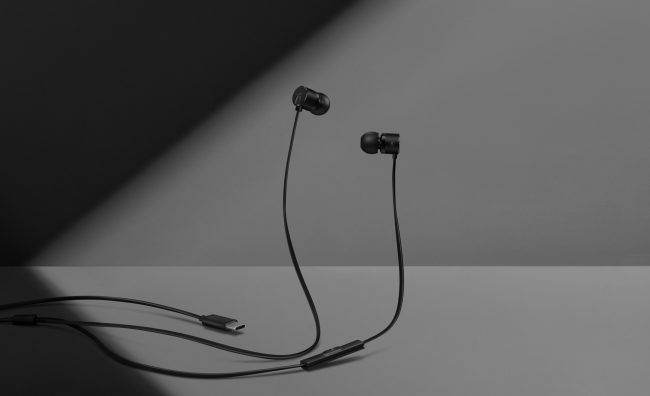 On the contrary, OnePlus has announced today Type-C Bullets wired earphones, which is an updated version of the company’s Bullets V2 and which will replace the headphone jack. The new Type C Bullets will have the same metal design of the OnePlus Bullets V2 but the company has added aramid fiber to the wire in-order to make the Type C Bullets more durable and resistant to stretching. According to OnePlus, the Type C Bullets will have improved sound quality as it has a built-in high-end, professional DAC by Ciruss Logic. It has a higher dynamic range, higher signal-to-noise ratio and low noise floor. When compared to the 3.5 mm jack that uses analog, Type C headphones ensures minimal loss of quality for a superior audio outcome. According to a survey conducted by OnePlus, in early 2017, 80% of users used in-jack headphones regularly, while, in a poll in 2018, that number dropped drastically with 59% of users switching to wireless headsets. Type C Bullets are compatible with any Type C USB port, and pair seemlessly with OnePlus devices, allowing users to adjust the sound enhancement configuration for a more customized sound. These new earphones are set to be launched alongside the OnePlus 6T. The Type C Bullets are priced at INR 1,490 and will be available across online and offline channels. Upcoming OnePlus 6T is also rumored to be armed with three rear cameras and waterdrop screen which we have seen recently on Oppo F9 Pro and Vivo V11 Pro.